George Zimmerman may have been exonerated in the fatal shooting of Trayvon Martin, but that may change soon. 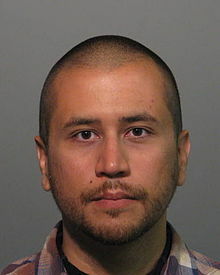 Attorney General Eric Holder is weighing whether to file federal civil rights charges against Zimmerman, who recently was arrested on unrelated domestic violence charges, Huffington Post reports. Holder said his office is finishing up a civil rights investigation after Zimmerman shot and killed an unarmed 17-year-old. Posted: 11/20/13 at 9:09 AM under News Story.